Want to promote TurboVote far and wide with beautiful images? We've created a wide array of options for any voter engagement campaign in need of graphics. This is a preview of the images. 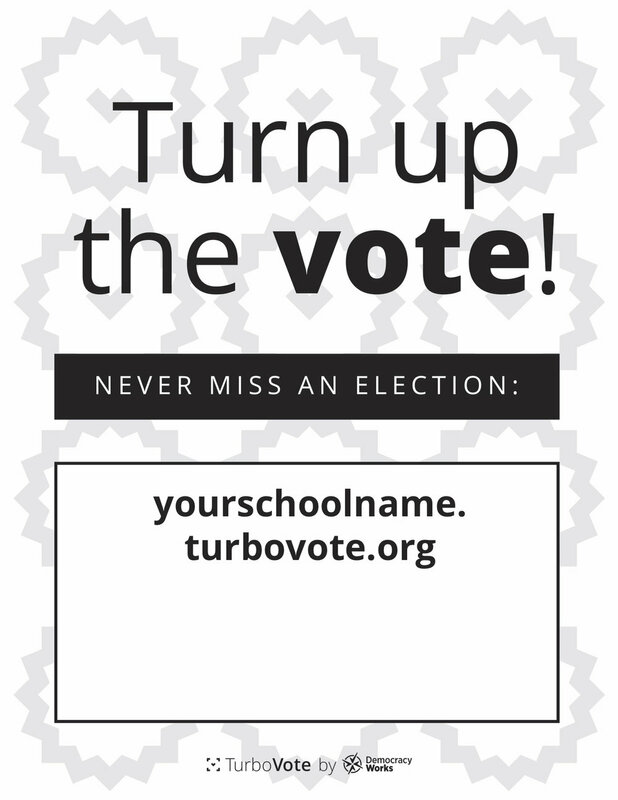 If you would like the full set of editable graphics (Adobe and Word versions), please email partnerships@turbovote.org, and we'll send over the entire compilation.